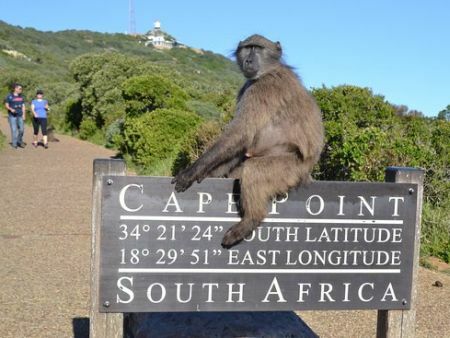 Cape Point is the most South Western Point of Africa... We will take you to Cape Point in the Good Hope Nature Reserve, Hout Bay, Seal Island, Simons Town and more! 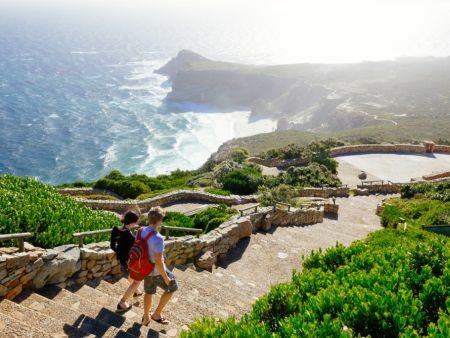 This is an awe-inspiring tour to the towering headland known as Cape Point. Magnificent beaches, breathtaking views, historic and picturesque coastal villages are to be seen along the way. 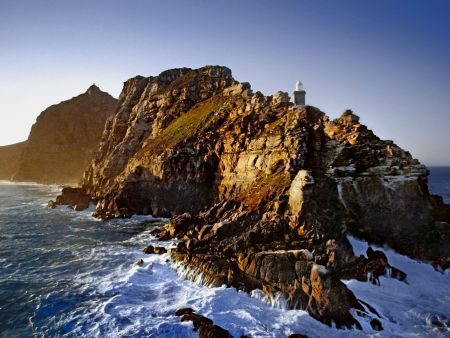 The Cape Peninsula is one of the world’s most scenic areas and stretches from the City centre to Cape Point. 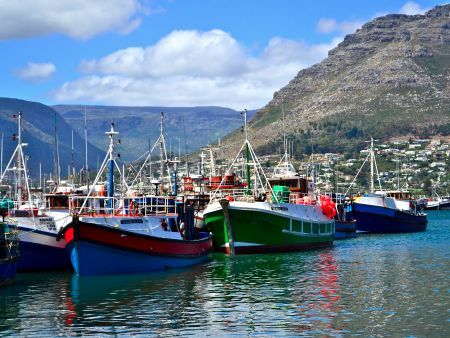 Depart from the hotel and enjoy the scenic views of the Atlantic Ocean en-route to Hout Bay. We follow the coastal route which hugs the dramatic cliff side along the Atlantic Ocean, before being welcomed by the sentinel upon arrival in Hout Bay. Once a fishing community, now a popular residential area, the harbour still has a charm of days gone by. 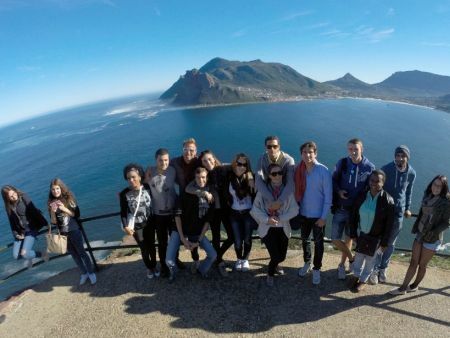 The tour continues over the famous Chapman’s Peak Drive – if open, with a 200 meter drop on one side of the coach and a 200 meter rise on the other, as we make our way south, following the Atlantic Ocean until we reach Cape Point. At Cape Point we drive through the nature reserve and admire the endemic ‘fynbos’ and we may even spot wild animals like Zebra, ostrich, antelope or even snakes! 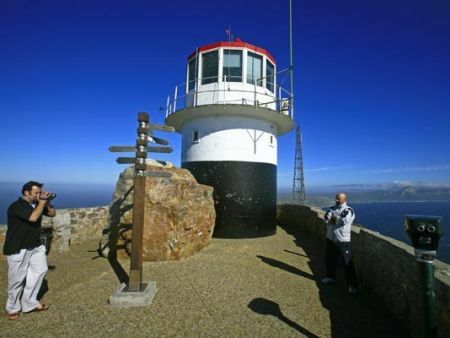 You can walk up the steep pathway or ride in the Flying Dutchman funicular (own account) to the lighthouse where panoramic views await of the meeting place of the icy Atlantic and warm Indian Oceans. 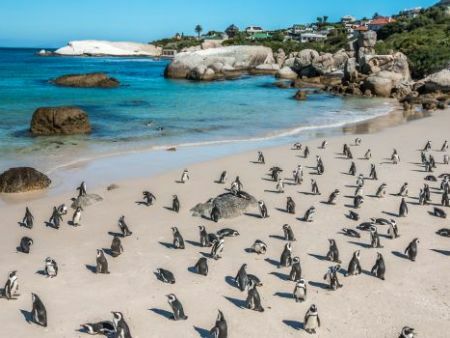 Said to be the romantic meeting place of the two mighty oceans, the Atlantic and the Indian, Sir Francis Drake the Explorer once called it "the fairest Cape that we saw in the whole circumference of the Globe". And rightly so, it must be the highlight of any visit to the Mother City, if not South Africa. 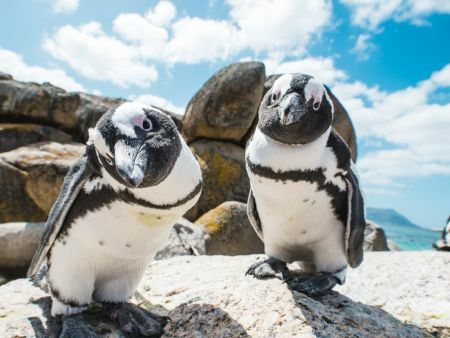 We pass the naval base of Simon's Town as we continue along the Indian Ocean, en route to see the Jackass penguin colony which has become well established at Boulders Beach (for own account) before ending the tour back at your hotel.